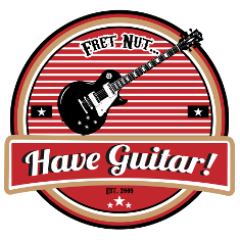 sinmix Archives - Fret nut... Have Guitar! Back with a new Rig Showcase, let’s introduce the free community pack by SinMix! So this is the deal, as long as you’ve bought at least one pack from SinMix you can join the SinMix Official Kemper Profiles Group and once joined you can just download this pack from that Facebook group. Link is provided further down. In this pack you will find 39 Kemper profiles – most of them but not all are high gain stuff, think hard rock to metal and you are spot on! It’s a bunch of different amps and cabs – all good quality profiles and I do think these are not included in any of the commercial packs. One of the latest Kemper profile packs from SinMix – the 2JpC Kemper pack. Recreates the sound of a Mesa Boogie JP-2C – think John Petrucci and Dream Theater and you’re absolutely right! I was almost surprised over the brutalness of these profiles but hey, it’s SinMix – right! So, made for metal for sure – I don’t there is any doubts when it comes to this profile pack! A sidenote: in one of the backing tracks the info lists the Wylde wha pedal as being used, and it was… just not in the part that I chose to include in the video. Most of the times I’m happy just running with my Kemper. But then, sometimes a video like this pops up and I get an urge to get a Fractal Axe FXII too… Well, anyways here are some great sounds from SinMix for just that unit! Diamond Pack by SinMix – Giveaway Winners! And the day has come! Here is the result from the giveaway of the SinMix Diamond Pack! I will contact all the winner or you can also contact me – I need an email adress to be able to send the Kemper profile pack to you! Congrats to the winners, I hope you will enjoy this fine pack from SinMix! And of course a Very Big Thanks to SinMix for letting me do this giveaway – so appreciated! Author adminPosted on February 18, 2018 Categories GiveawayTags diamond pack, fret nut have guitar, giveaway, kemper profiling amp, profiles, sinmixLeave a comment on Diamond Pack by SinMix – Giveaway Winners! Yup, that’s right! Time flies when you’re having fun… today’s the last chance to sign up in the giveaway of five complete packs of SinMix Diamond pack – some good sounding Kemper profiles taken from a Laboga Diamond amplifier. So, just a reminder – sign up if you haven’t already!